Golden Retriever training is essential! 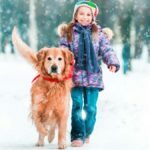 If you are lucky enough to have a Golden Retriever the local community will expect them to be well behaved and fortunately, the Golden is one of the easiest breeds to train. Their outgoing personality, high aptitude for training and intelligence sets them apart from other dog breeds. Training Golden Retriever puppies will socialize them, introducing to new experiences. Raising a Golden is a responsibility but should also be fun. 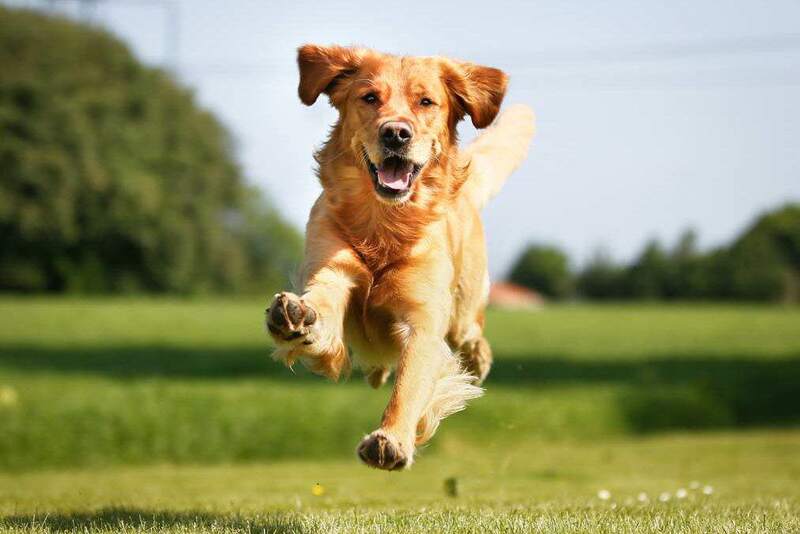 All Golden Retrievers require basic obedience training in order to reach their full potential. On his Akita, who had completed obedience training with a professional trainer. # 1 – Both you and your dog will be more happy and content. Golden retriever training helps you to bond with your dog. # 2 – You will understand and communicate with your dog more effectively. # 3 – It may save your dog’s life! Having voice control over your dog is important in situations where they may run away, especially if there is traffic around. # 4 – Your Golden will be welcome in public areas and have more freedom. # 5 – Your Golden will have a low chance of developing behavioral problems. Dogs are descendants of wolves and these animals are creatures that live in a den. Golden Retrievers need their own personal space (like a crate) and training them to stay in there is crucial to the success of your dog training. They naturally feel safe in a confined environment so you need to put in a little investment when buying a crate. Crate training Golden Retriever puppies can help to prevent them from turning your house into shambles when you are away! However do not abuse the crate as a form of punishment. The crate should be a place your puppy loves. Puppies have little control over their bladder until about 5 months of age and it is unfair to expect them to be house trained before this age. The two key elements when potty training Golden retrievers is confinement and timing. During confinement, you put your dog in its crate. Your puppy will attempt to come out if they have to go, as dogs will not relieve themselves in their den. This is where timing plays a key role. You need to be on stand-by to lead the your Golden Retriever puppy to the right toilet spot and let it do its thing. Order and routine make this training much easier. Training for basic commands is the fundamental aspect of obedience training. This is where you teach your Golden Retriever to sit, roll over, play dead, stay, follow, or keep quiet. Though it might sound simple, this can prove to be a very difficult task because it requires a lot of patience and hundreds of repetitions. Clicker training is a process by which you use a clicker and use the sound every time you reward your Golden Retriever for their good behavior. Once your dog has associated the clicker sound with the food, you will slowly replace the sound with the command. This is a type of training in which you capitalize and highlight a Golden Retrievers obedience and reward it accordingly. Essentially, you will ignore any negative behavior, but recognize and reward positive behavior. This is a type of Golden Retriever training in which you will never use any form of punishment if the dog disobeys you. Behavioral Golden Retriever training is where you attempt to correct behavior. For example, some Goldens like to bark at anyone who is riding a skateboard. Some of them actually make the chase. In behavioral training you apply a combination of methods that will correct the behavior, such as rewarding the dog when it ignores the skateboarder. It is important to encourage plenty of Golden Retriever exercise to ensure behavioral problems are not related to boredom. Agility training is for dogs who participate in shows. Here, you train dogs to skip ropes and run around poles, tunnels, and jump on tires. The trainer will direct your Golden Retriever to run through the obstacle course and the dog is expected to complete the course seamlessly. Vocational training is where your Golden Retriever specializes for a specific role. Apart from teaching Goldens to obey, you can train them to be hunters, rescue dogs, guide dogs for the deaf and blind, sniffers, fetchers, and more. It helps if the particular dog breed is best suited for a vocation. You cannot expect a poodle to be a bomb sniffer or a bird fetcher. This type of training yields higher success rate if the right breed is chosen for the right job. Golden Retrievers are an excellent choice of dog for this type of training. Dog training schools are usually the best for training Golden Retriever puppies. Training at an early age will give you a lot of advantages and it will be more effective if they are trained by professionals. Training in the community also assists with socialization. The cost of Golden Retriever training depends on what training you require. Resident camp rates range from $60 – $150 per night, depending on the type of training required. The rates include training sessions; boarding; dog food; crate training; exercising; grooming, bath & brush. All of the courses consist of around EIGHT sessions of approximately 1 hour duration. What age should you begin training Golden Retriever puppies? The Golden breed is one of the most intelligent dogs there is and you should commence Golden Retriever training as soon as possible. You can begin your training as early as 7 to 8 weeks old by using a food lure method or positive reinforcement training. Training Golden Retriever puppies is most effective when using positive, reward based dog training methods with plenty of encouragement and praise. You’ll find that your Golden is eager to please when training and will not benefit from any harsh punishment or intimidation. Early training is recommended if you are planning to continue with more advanced training such as rescue. Why you should be consistent when training Golden Retriever puppies? A young Golden Retriever has a short focus span. They require clear guidance, consistency and repetition from you. This will help to develop and prepare them for further training in the future. Congratulations on owning a Golden retriever for you have a fine and loyal dog. You will both reap the enormous benefits of Golden Retriever training to create a special bond and understanding.